A School Board Meeting is planned for Monday, December 16, 2013 in the Middle School Little Theatre. There will be an executive session at 6:30 p.m., followed by a regular meeting at 7:30 p.m. See agenda. A School Board Meeting is planned for Monday, November 18, 2013 in the Middle School Little Theatre. There will be an executive session at 6:30 p.m., followed by a regular meeting at 7:30 p.m. See agenda. 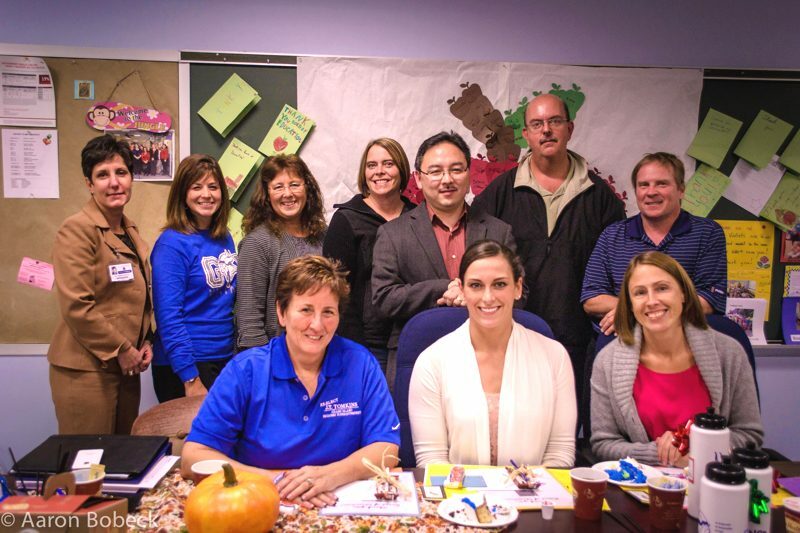 From left: Superintendent Teresa Lawrence, PTA Council president Lisa Fabiano; high school PTSA president Theresa Winder; Sidway PTA president Sue Marston; school board president Tak Nobumoto; vice president Paul Krull; trustee Glenn Bobeck; seated from left: trustees Donna Tompkins, Emily Ciraolo; Lisa Pyc. Aaron Bobeck Photo - Click photo for larger view. Spearheaded by PTA Council president Lisa Fabiano a reception was held for school board members prior to last Monday's board meeting in honor of School Board Recognition Week. The event saw parents, teachers and school administrators gather to recognize and applaud the unpaid volunteer work of the district's trustees. Tokens of appreciation from students, teachers and administrators were presented, and a cake (baked by PTA member Kim Yung) and coffee were served by the PTA. A School Board Meeting is planned for Monday, October 21, 2013 in the Grand Island High School, room 110. There will be an executive session at 6:30 p.m., followed by a regular meeting at 7:30 p.m. See agenda. A School Board Meeting is planned for Monday, September 16, 2013 in the Grand Island High School, room 110. There will be an executive session at 6:30 p.m., followed by a regular meeting at 7:30 p.m. See agenda. The Grand Island Board of Education has a workshop meeting on Thursday, August 29, 2013 at the Cannon Design Conference Room, 2170 Whitehaven Road at 6:00 p.m. See agenda. The Grand Island Board of Education and the Grand Island Town Board have a workshop meeting on Monday, August 19, 2013 at 5:30 p.m. at the Town Hall. See newsletter for Summer 2013. A School Board Meeting is planned for Monday, August 12, 2013 in the Grand Island High School, room 110. There will be an executive session at 6:30 p.m., followed by a regular meeting at 7:30 p.m.
School board members Paul Krull, Tak Nobumoto, Donna Tomkins, Superintendent of Schools Dr. Teresa Lawrence, Supervisor Mary Cooke, school board members Lisa Pyce & Joan Droit, Assemblyman John Ceretto. 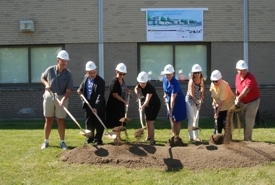 A ground breaking took place in front of Grand Island High School on Friday, July 26th for what is to be a three year project that will impact all five schools in the district. Superintendent of Schools Dr. Teresa Lawrence mentioned that "every building will be touched, there will be noise, dust, inconvenience....then it will be great!" 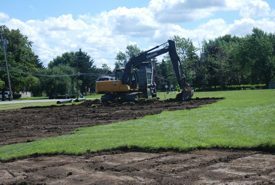 Many town officials, construction representatives, school district representatives and employees were on hand to celebrate the start of the project. 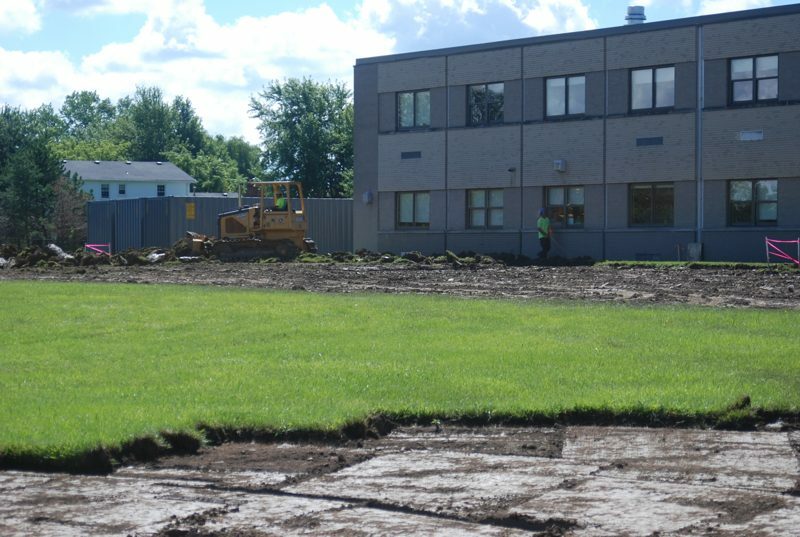 The first work will be asbestos abatement and removal at the high school, which will curtail visits and activities after 3:00 p.m. until the beginning of the school year on September 9th. 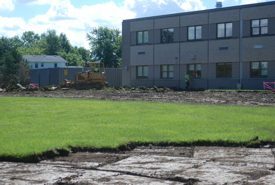 For more information check out the Capital Project page on the school district website. See School Board Agenda for the July 26, 2013 meeting. 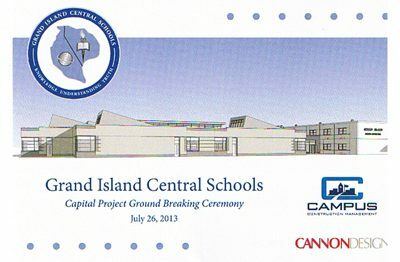 The Grand Island Board of Education invites all residents to a Ground Breaking Ceremony on Friday, July 26, 2013 at 10:00 a.m. in front of the Grand Island High School located at 1100 Ransom Road. The event marks the beginning of a three year construction project that was approved by residents during the Capital Project vote held on December 20, 2011. Phase One of the Capital Project will take place at the Ransom Road complex. Some of the work included at this site will be the construction of a new technology wing at the high school, a sports stadium, extensive remodeling of the middle school and high school science rooms and renovations to the high school auditorium. A special ceremony will be held on October 19, 2013 to mark the decommissioning of the current Masters Fields and the commissioning of the new athletic fields. Construction is anticipated to begin on the athletic fields in November. 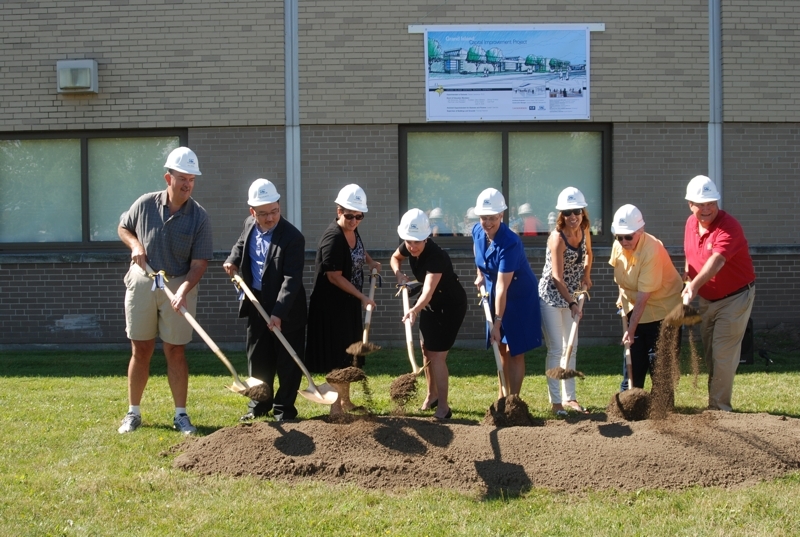 For Capital Project information and updates, visit the district website at www.k12.ginet.org or call 773-8801. A final Board Agenda will be posted on our website (www.k12.ginet.org) and at the entrances of each school building at the close of business the Friday prior to the Monday meeting. See School Board Agenda for the June 27, 2013 meeting. See Class Listings for Summer 2013. See School Board Agenda for the June 10, 2013 meeting. See School Board Agenda for the May 20, 2013 meeting. See School Board Agenda for the May 13, 2013 meeting. 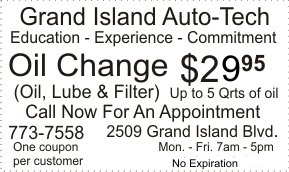 On April 29th, at the joint Grand Island Town Board/Grand Island Central School District meeting, the Grand Island Board of Education unanimously appointed Dr. Teresa Lawrence to serve as Grand Island Superintendent commencing on or about June 10, 2013. Dr. Lawrence has served for the past eight years as the Director of Curriculum and Staff Development in the Clarence Central School District and has a resume that reflects quite an international flavor as well as vast educational experiences. Besides her current responsibilities, she has worked as an instructional specialist for research and evaluation, an assistant principal and program specialist in the Ken-Ton School District, the coordinator for curriculum and staff development at Erie 1 BOCES, an educational consultant as well as a middle school mathematics teacher. Her education includes program completions at Cornell University, four different degrees from the University of Buffalo, overseas work at universities in Heidelberg, Germany, the University of Maryland, Munich Campus, Munich Germany and Landstuhl, Germany. Dr. Lawrence continues to serve as an adjunct professor in educational administration at the Graduate School of Education, SUNY Buffalo, adjunct professor in the Educational Leadership Online Program at Stony Brook University, Long Island and as an adjunct professor in the graduate school of education at Canisius College. Dr. Lawrence has also served on at least eight educational boards, has made numerous presentations including such topics as student achievement, SLOs, standards, curriculum and accountability, technology, prescription drug abuse and access to equity for students with special needs in our high stakes testing/accountability environment. See Agenda for the April 29, 2013 meeting at Town Hall. See School Board Agenda for the April 22, 2013 meeting. On Tuesday, May 21, 2013 Grand Island residents will have the opportunity to cast their ballots for the school district budget vote. For those voters who qualify, absentee ballots will be available. To be considered for an absentee ballot, you must fit the criteria. See details. See School Board Agenda for the April 16, 2013 meeting. See School Board Agenda for the April 8, 2013 meeting. See Special School Board Agenda for the April 3, 2013 meeting. See School Board Agenda for the March 25, 2013 meeting. See School Board Agenda for the March 18 & 19, 2013 meetings. Candidates interested in a seat on the Grand Island Board of Education must file nominating petitions with District Clerk Janet Schuster by 4:00 p.m. April 22, 2013. Twenty seven (27) valid signatures of district residents are required on a petition. Forms are available at the district office located at 1100 Ransom Road from 8:30 a.m. to 3:30 p.m. weekdays. There are two (3) three-year terms and one (1) two-year term to be filled. The qualifications to run for the Board of Education are: (1) you must be a citizen of the US, (2) you must be at least 18 years of age, (3) you must be a resident of the district for one year prior to the election, and (4) you must be able to read and write. The School Board election and budget vote will be held from 10:00 a.m. to 9:00 p.m., May 21, 2013 in the High School Main Gym. Dr. James Dempsey named interim high school principal. Vacancy by David Goris to be filled May 21st by 3rd highest vote getter at Board Election. See School Board Agenda for the March 4, 2013 meeting. The decision will be made in March, with a starting date of July 1st. See School Board Agenda for the February 25, 2013 meeting. Please note: meeting starts at 8:00 p.m.
See School Board Agenda for the February 11, 2013 meeting. Included in your letter should be a brief explanation of why you would like to join the committee. Letters need to be submitted no later than February 15, 2013. Included in your letter should be a brief explanation of why you would like to join the Board of Education and what you think you can bring to the District with your experience. Letters need to be submitted no later than February 11, 2013. 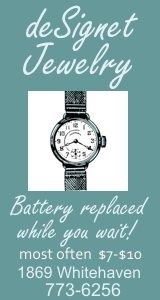 Mon., January 7, 2013 . . . The purpose of this letter is to introduce myself to Grand Island as your newly appointed Interim Superintendent of Schools. The GICSD Board of Education has appointed me to this leadership capacity while the Board and District undergoes a search to appoint a permanent superintendent to guide and lead the District. 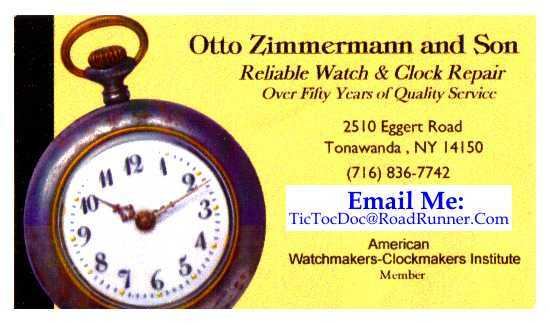 As you may be aware, consultants from the Rochester area are leading this search. Please be assured that for however long this process takes, I will serve you, the BOE, the District employees and, of course, the students as a visible and accessible child-centered leader. My professional background includes more than 40 years in education, including 7 years as a Superintendent of Schools in another local school district. As an educator I have taught both elementary and middle school levels, mathematics academic intervention, as well as having administrative experiences both in elementary and middle school. Recent interim experiences have included a position as an interim superintendent of schools for seven months and serving as an interim middle school principal in two different WNY school districts. As your Interim Superintendent some of my goals, in harmony with your Board of Education and the school staff, will include maintaining the many areas of educational excellence already in place while searching for additional ways to continue improving existing strategies, to maintain the commitment of the administration, faculty and staff in providing the well-disciplined, character building environment that is so necessary for academic excellence and to consider new opportunities for our children to experience, ever mindful of the need for fiscal prudence. As a property owner, my family and I are well aware of how taxes impact people�s lives. I will be committed to honestly justifying the educational expenses and will do everything possible to provide the excellent education and services your children need and deserve while, at the same time, being fiscally responsible. I am truly looking forward to the opportunities as well as the challenges that face us as we strive to maintain and enhance the Viking Values of being responsible, being respectful, and being safe in our Grand Island Community. The GI Board of Education, District employees and myself sincerely wish all a very Healthy and Happy 2013. Deadline for signing up is January 17th. See Brochure - Registration is available online, by mail, or in person. 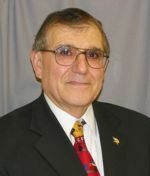 Retired Lackawanna Superintendent Paul Hashem chosen for interim position, School Board President David Goris resigns. See School Board Agenda for the January 7, 2013 meeting.